Today is June 23, 2015, the 30th anniversary of the bombing of Air India Flight 182. The Canadian poet Renée Sarojini Saklikar and I have worked on this 60-minute memorial composition for over two years. Today is the most important day on our calendar for our project. 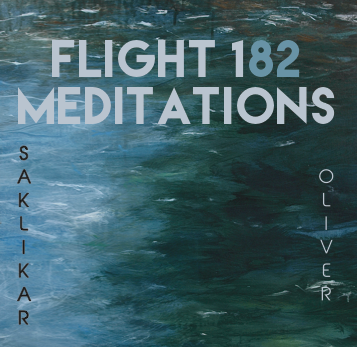 We invite you to listen to our work, Flight 182 Meditations, which has been unanimously described as a "beautiful" work, and obtain a copy of the CD or download at a 30% discount at this link http://ow.ly/OsJ9G. Thank you for remembering this horrible event and participating in a culture of peace and cultural understanding. To obtain your copy of CD or download, enter the code 182_30ws at our soundshop. BONUS OFFER: Add any other items to your shopping cart and you’ll get the same 30% discount on your entire order. OFFER ENDS June 30 at midnight.